Marco Rossi asks: Is it true that the queen of England isn’t required to have a passport when she visits other countries? As the reigning monarch of the United Kingdom, the commonwealth, and certain other countries that have since declared independence but decided they kind of like having the Queen on their money, Queen Elizabeth II enjoys a number of unique perks not bestowed on any of her subjects. These include being immune from prosecution from any crime she may happen to commit (justice is served in her name); she cannot be compelled to give evidence in court; she owns all of the dolphins, sturgeons and whales found in British waters (she also technically owns all mute swans found on open waters in Britain); she has the ability to declare war on any other nation if she so desires it; and, most pertinent to the present conversation, she doesn’t need a passport to travel abroad. So why not? Her Britannic Majesty’s Secretary of State requests and requires in the name of Her Majesty all those whom it may concern to allow the bearer to pass freely without let or hindrance and to afford the bearer such assistance and protection as may be necessary. In a nutshell, because a British passport is partially just a request from the Queen to allow one of her subjects to travel freely beyond the borders of her country, she doesn’t need one- she can just ask that in person. Of course, a passport also has another purpose- identifying the person in possession of it. As such, the Queen does have to jump through similar hoops as an ordinary person when she travels and is required to give her name, date of birth and occupation (she unsurprisingly usually just answers “Queen”) to officials upon arrival in a foreign country. This is all made slightly more complicated in that, besides having no passport, the Queen generally does not carry any sort of official picture ID. She gets around potential issues this might otherwise cause by having her aides clear her trips with the various state departments before she arrives. This way her arrival can be fast-tracked and it helps ensure customs officials don’t give her any guff for lack of passport and potentially lack of picture ID- like if they didn’t believe she was actually the Queen. Of course, given her recognisability throughout much of the world and the fact that she often arrives with full entourage in her private plane, this probably wouldn’t usually be an issue even if she didn’t call ahead. 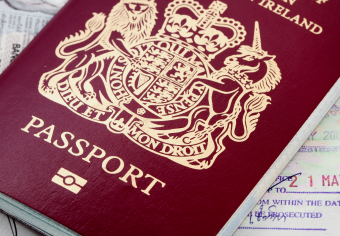 And if you’re curious, all other members of the Royal Family are required to have a passport like anyone else, though their Royal passports contain special instructions detailing their diplomatic status, allowing them to skirt some of the normal security checks. Speaking of the Queen generally not carrying around any official picture ID, along with being the only person in the UK to not need a passport, the Queen similarly doesn’t need a driver’s license to drive either. This is because, like passports, driver’s licenses are issued in her name. So she’s allowed to simply vouch for her own driving ability in person should she ever be pulled over. 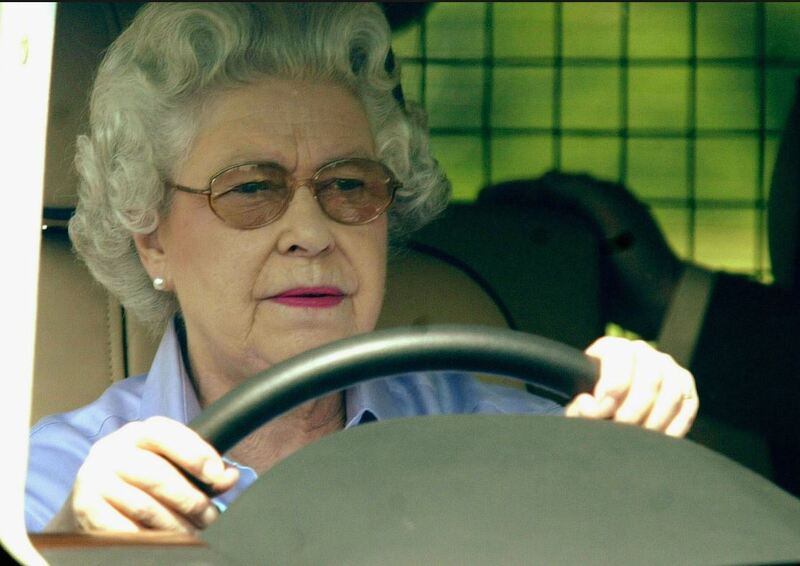 Now, you’d think given her status and wealth, the Queen would never drive anyway, but you’d be wrong. 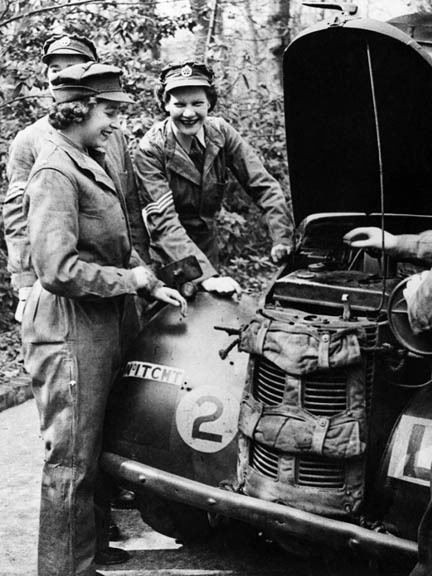 You see, during WW2 the Queen (then a princess) badgered her father to let her do her part for her country and subsequently ended up serving as a mechanic and driver with the Women’s Auxiliary Territorial Service at the tender age of 18. (She’d actually registered to serve at age 16 but King George wouldn’t allow it). The Queen took her position incredibly seriously, becoming, by all accounts, a competent mechanic and driver, trained to fix and drive a host of military and suburban vehicles. Fast-forwarding a bit through history, a humourous story about the Queen’s driving prowess comes from 1998 when she was visited at her estate in Balmoral, Scotland by the then Crown Prince of Saudi Arabia, Abdullah bin Abdulaziz Al Saud. The story was later revealed to the world by one-time Saudi ambassador Sherard Cowper-Cole. Knowing Abdullah’s stance on the rights of women and the fact that women are essentially banned from driving in Saudi Arabia (there’s technically no law that says women can’t drive, but licenses are only issued to men), the Queen, demonstrating quintessential British passive aggressiveness, offered the Prince a tour of her palace grounds. Dutifully, the Prince agreed and the pair headed outside where a large Land Rover bearing the Royal insignia was parked. After waiting for the Prince to climb into the passenger seat where he no doubt assumed a chauffeur would drive the pair around, the Queen then nonchalantly climbed into the driver’s seat and proceeded to drive the car, much to the Prince’s astonishment. According to ambassador Sherard, the Prince was extremely nervous about this arrangement from the start. Things didn’t get better for him. The then 72 year old Queen, knowing that Abdullah had never been driven by a woman before and no doubt observing his anxiety, decided to mess with him by purposely driving as fast as possible on “the narrow Scottish estate roads”. As she sped along at break-neck speeds, the Crown Prince screamed at the Queen through his interpreter to slow down and pay closer attention to her driving. The Queen, ignoring his admonishments completely, continued pleasantly chatting away as if she wasn’t doing her best Fast and the Furious impression. We can only imagine Abdullah’s reaction if the Queen had mentioned to him that she never got her driver’s license. When the mummy of Ramesses II was flown from Egypt to Paris in 1974, Egyptian authorities issued the former pharaoh with an official Egyptian Passport so he could travel. Fittingly his occupation was listed as “King (deceased)”. Although women in Saudi Arabia can’t drive cars, they can fly planes, they just need to be driven to the airport. Despite evidently being a relatively skilled driver, besides the occasional pleasure drive, the Queen generally prefers to be driven around by a chauffeur.